Public transportation is shaped by the legislative and regulatory decisions made by elected officials in the local, state, and federal governments. From the Department of Transportation to local city councils, public transportation agencies must abide by rules to fund, develop and construct new public transportation projects. For example, government officials can make decisions on funding, and rules for managing and regulating public transportation. Our federal government routinely makes policy that affects public transportation in cities across the United States. FAST Act: In 2015 Congress passed the Fixing America’s Surface Transportation (FAST) Act. The FAST Act provided long-term transportation funding. This $305 billion investment in our nation’s infrastructure meant an 18 percent increase in federal funding for public transportation. Cities had access to funding to create larger public transportation projects they originally could not pursue without this funding. The FAST Act is the first federal law in a decade that provides long-term funding certainty for transportation projects like the D2 Subway. President Trump’s Budget Preview: President Trump released his initial budget proposal for 2018 proposing intense cuts to funding for public transit expansion and improvement projects that could halt or slow public transit projects across the nation. This budget preview proposes a 13-percent cut to the Department of Transportation. This cut would limit funding for the Federal Transit Administration’s (FTA’s) Capital Investment Grant Program (CIG). DART continues to pursue funding for the D2 Subway from the CIG program to help cover the project’s estimated total cost. DART will continue to investigate other federal funding options if President Trump’s budget is passed by Congress and funding for the CIG Program is cut. The Texas State government routinely makes policy that affects public transportation across the Lone Star state. Bills currently under discussion in Austin could produce a large impact on public transportation, specifically on new commuter rail projects in Texas, like the Cotton Belt. This bill would require all towns and localities accepting federal dollars for a commuter rail to gain voter approval before accepting dollars or even including the project in the region’s long-range transportation plans. If just one town does not give approval, commuter rail transportation projects could not move forward to accept federal funds. Local government and officials can determine policy that affects public transportation in our region and North Texas. Dallas Sales Tax Diversion: Some Dallas city council members propose using a portion of the one-cent sales tax Dallas pledged to DART and transferring it to the broken Dallas Police and Fire Pension fund. DART could lose approximately $35 million in annual revenue if this resolution is passed by the city council, and ultimately by Dallas voters. 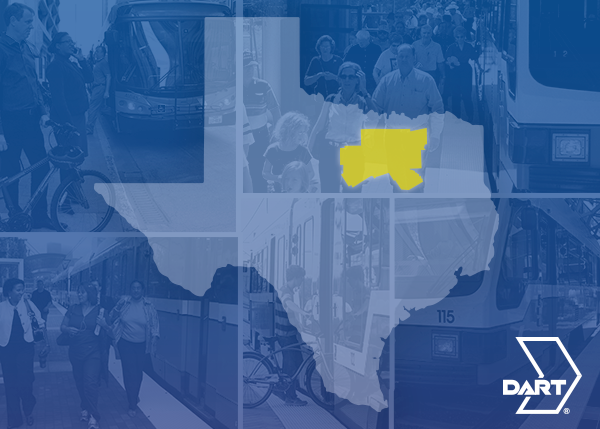 This loss would force DART to cut service and jeopardize capital projects – like D2 — within the city of Dallas, leaving approximately 25,000 daily DART customers in Dallas with fewer public transportation options. Legislation and public policy shapes and guides the way public transportation operates. It is the way our government attempts to accomplish goals based on social, political, economic, and environmental aspirations of the society it represents. That in turn can have an impact on virtually every individual, group or business in the country. DART must abide by transportation policy all the way from the federal level down to the local level. Understanding the impacts of this policy is important in order to create the best transit plan for North Texas now and in the future. 1 Response to How Does Government Affect Public Transit? So DART is more concerned about getting that 1/8 of a penny than the safety of the citizens of Dallas? If they don’t fix that mess, you will need alot more than the 1/8 of a cent to hire security. Since you aren’t concerned with the safety of the citizens of Dallas, I suppose you aren’t concerned with the safety of your passengers that use DART either. Shameful.